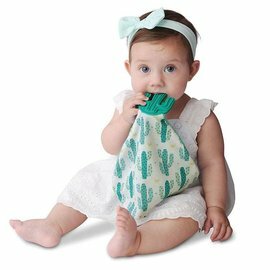 This trendy and practical accessory will help your child to chew cleanly! 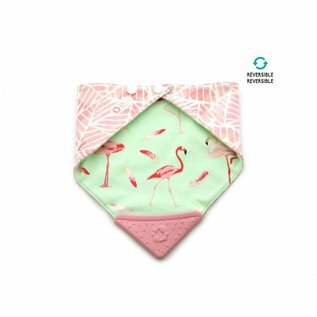 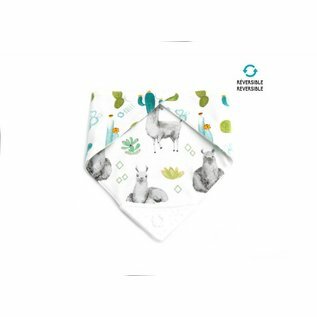 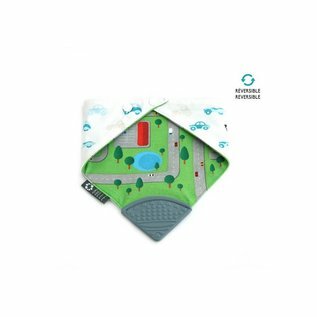 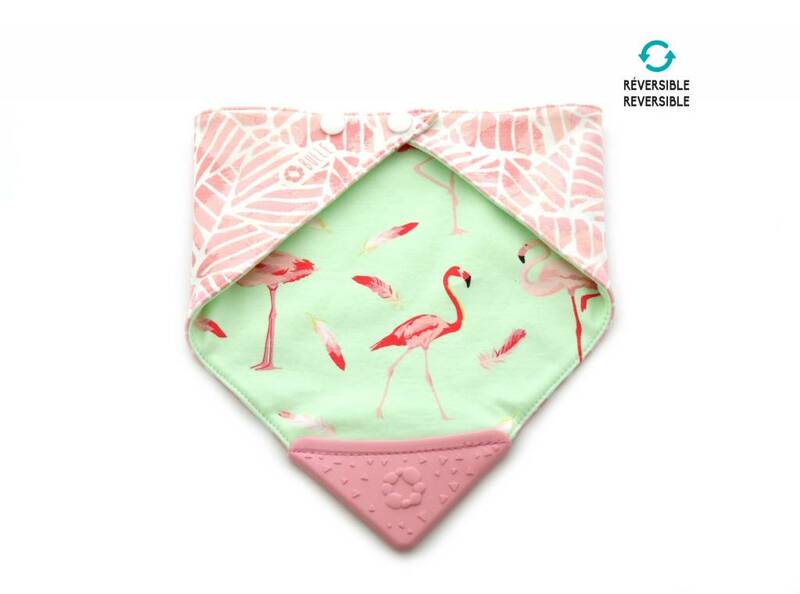 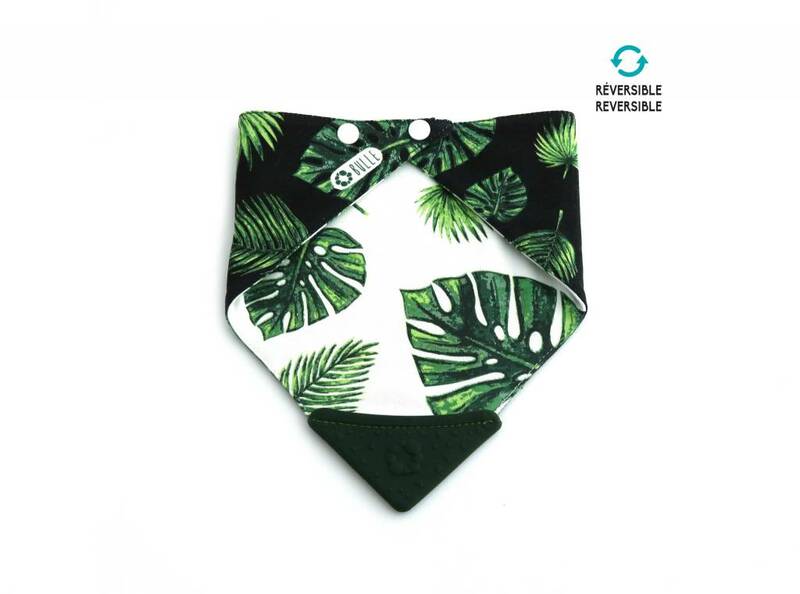 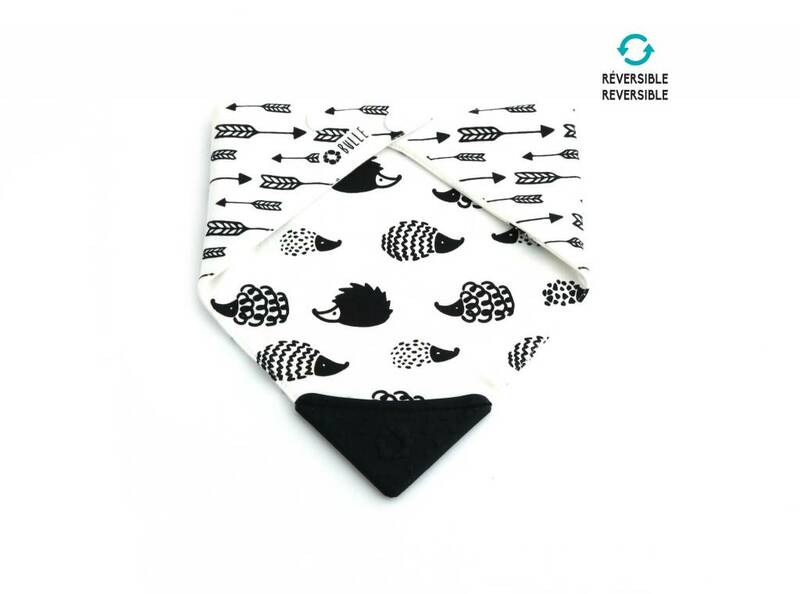 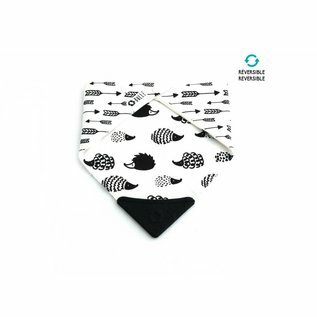 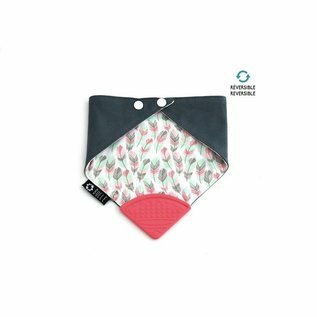 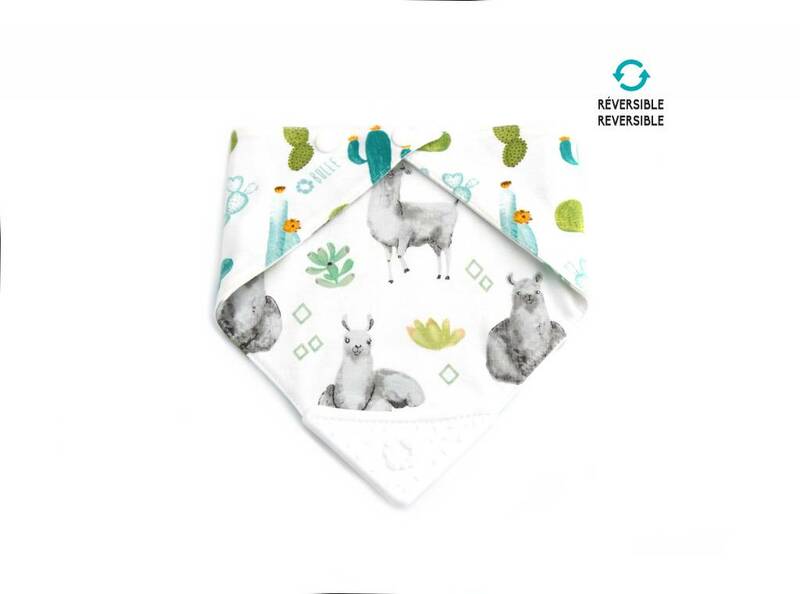 Our bib absorbs saliva and is provided with a textured triangle made of food grade silicone. 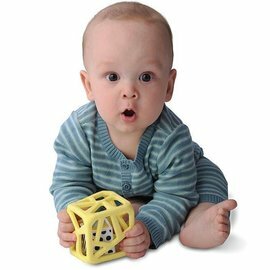 Baby can chew the silicone to relieve teething pain. 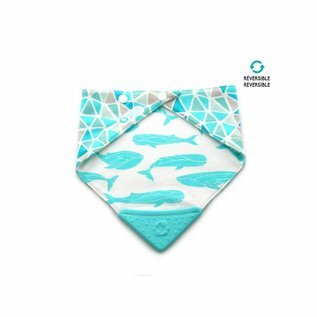 The flexible and resistant silicone part is gentle on gums and new baby teeth. 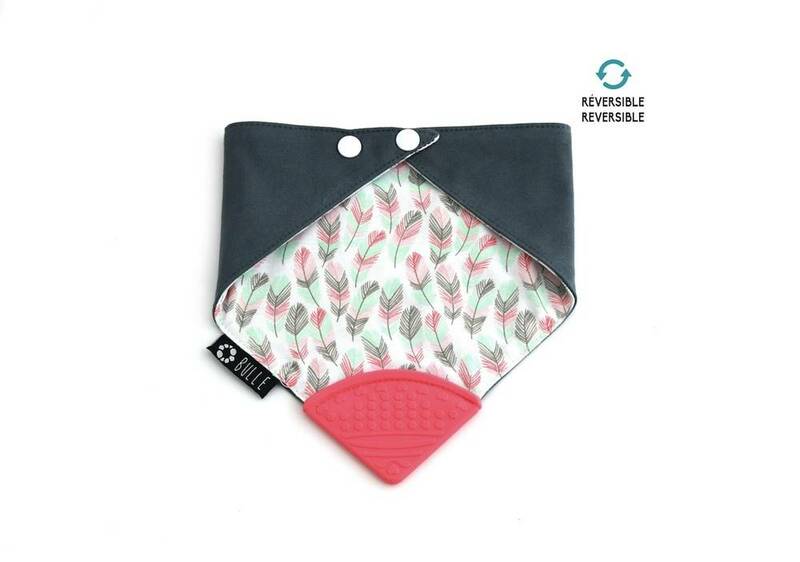 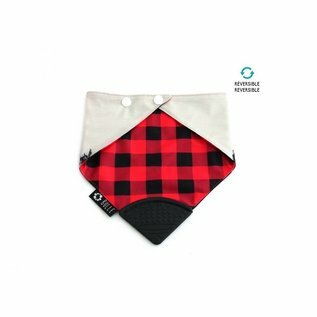 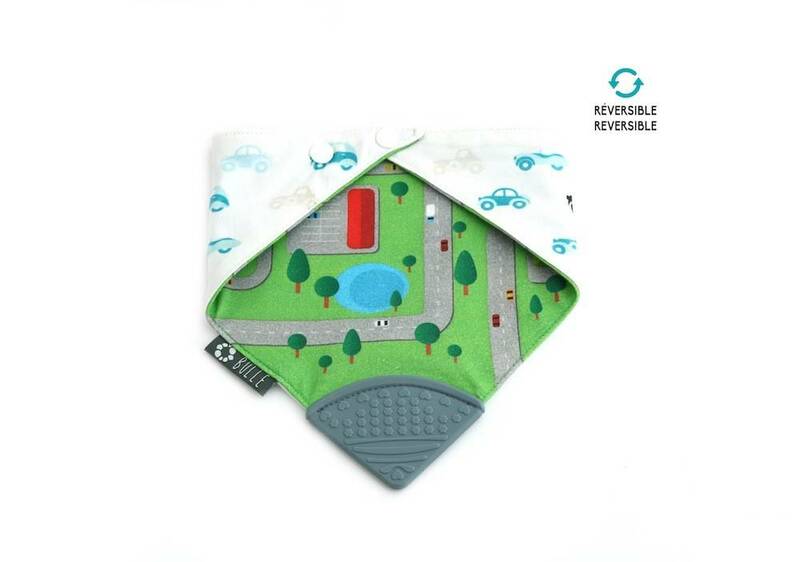 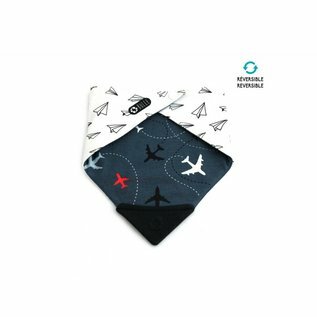 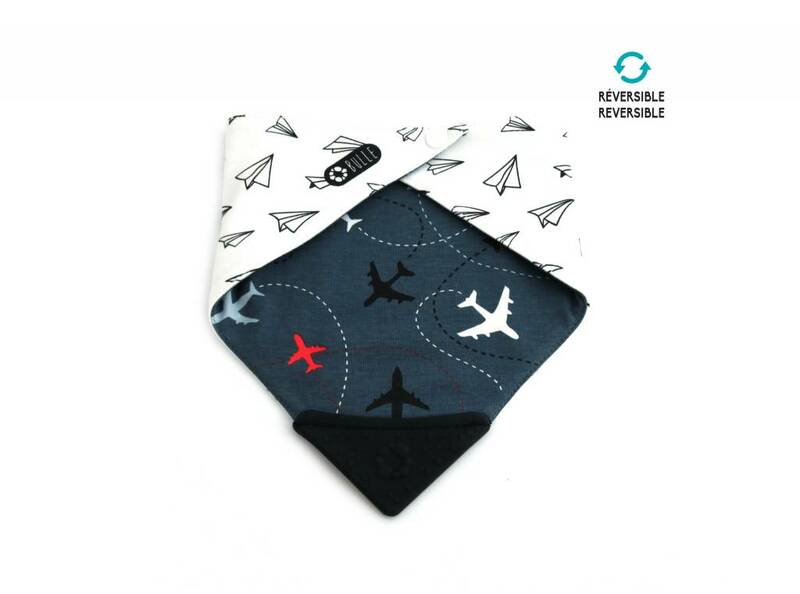 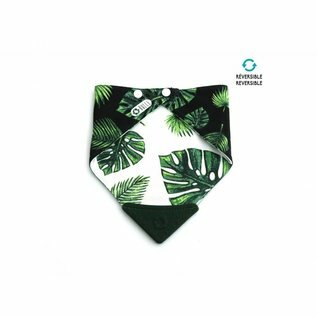 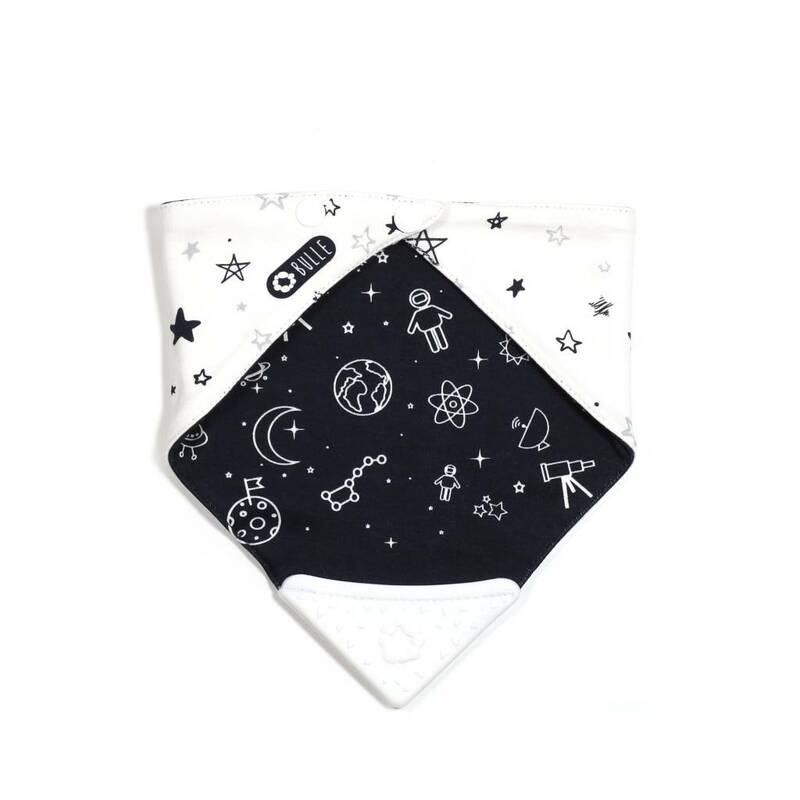 Made of two layers of fabric 100% absorbent with a silicone part free of BPA, phthalates, cadmium or lead. 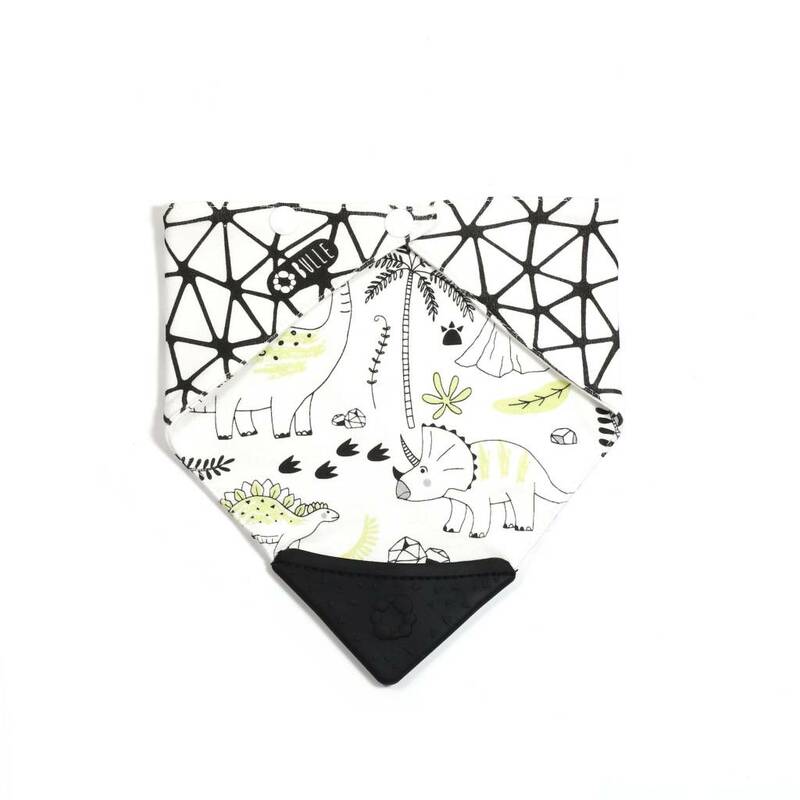 The bib is reversible and adjustment snaps offer two possible sizes. 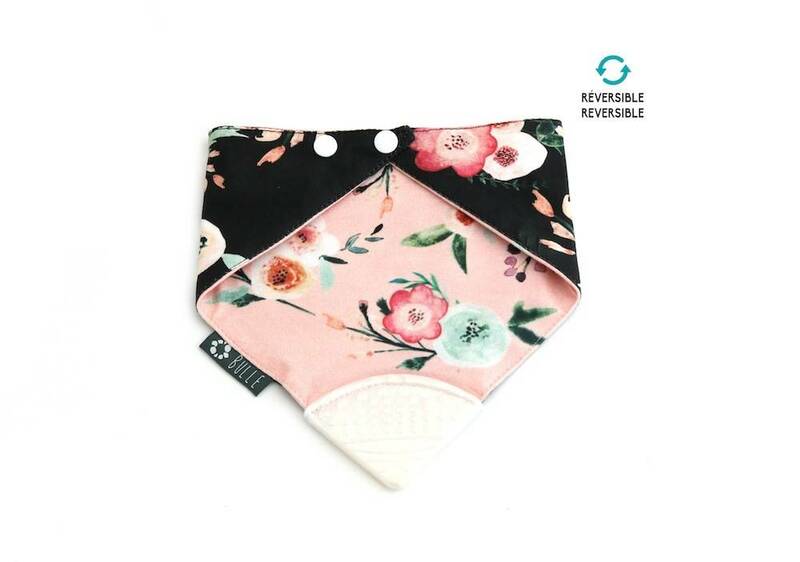 Machine wash in cold water and dry flat. 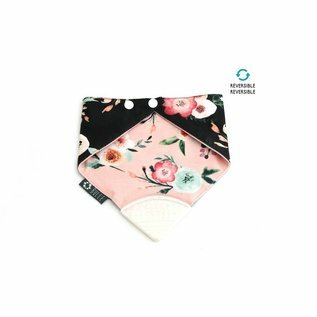 Wash before first use. 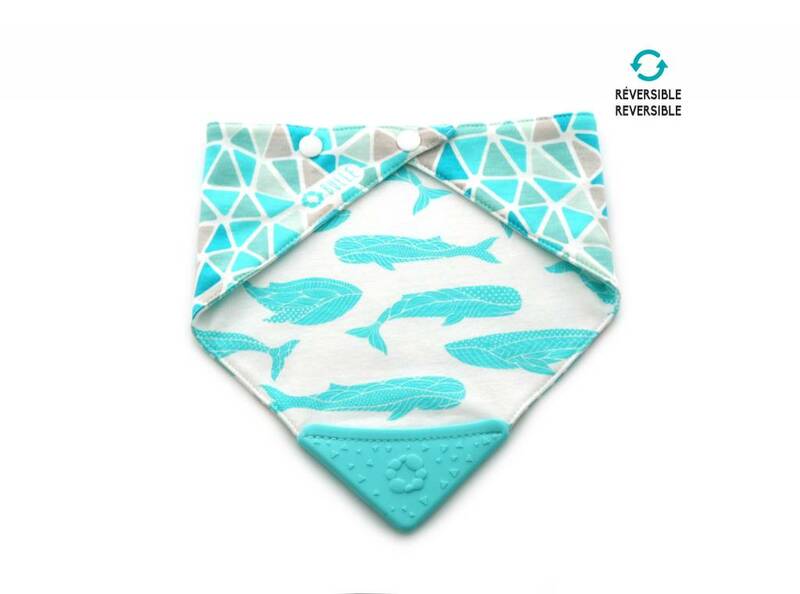 Warning: Adult supervision required when the child is wearing the bib. Do not let the child sleep with the bib. 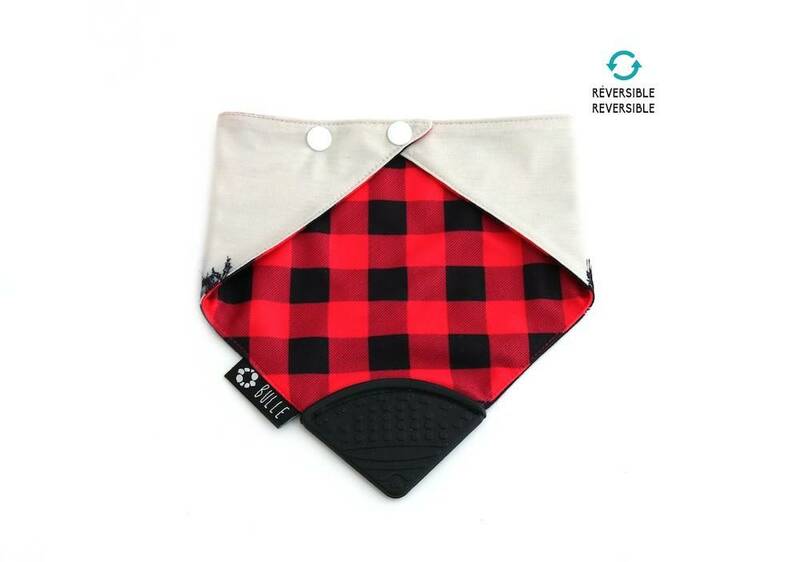 Frequently inspect the product to make sure no part is damaged. Do not use if damaged.